Home / Verbal / Funny Secret Santa Gift - V.I.Poo. 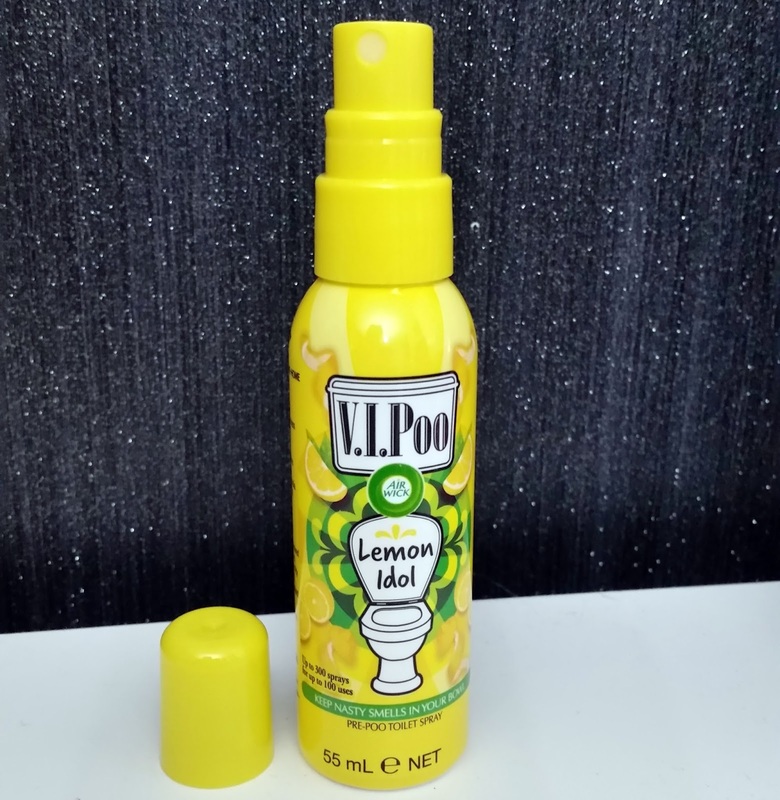 Funny Secret Santa Gift - V.I.Poo. 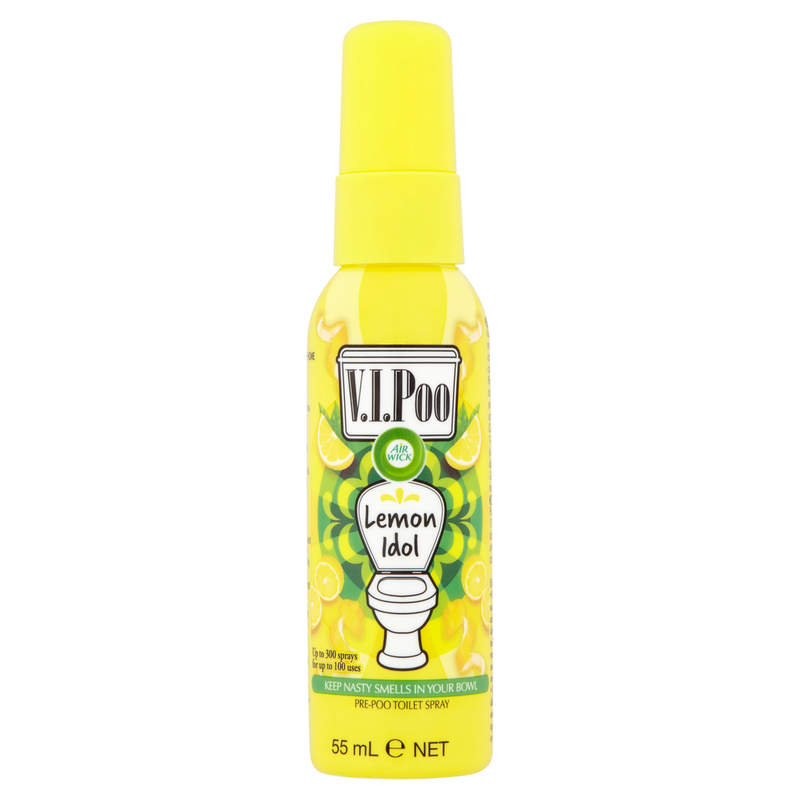 V.I.Poo Lemon Idol, a citrus freshness and zesty ambiance. 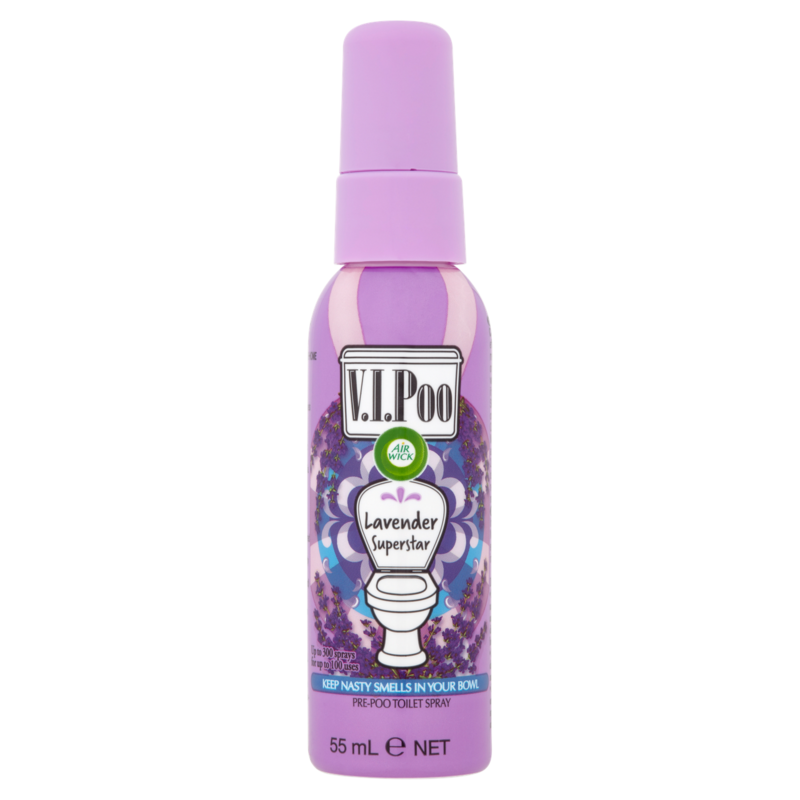 V.I.Poo Lavender Superstar a fun and floral bouquet. V.I.Poo Rosy Starlet, a floral elegant bouquet of floral tones. 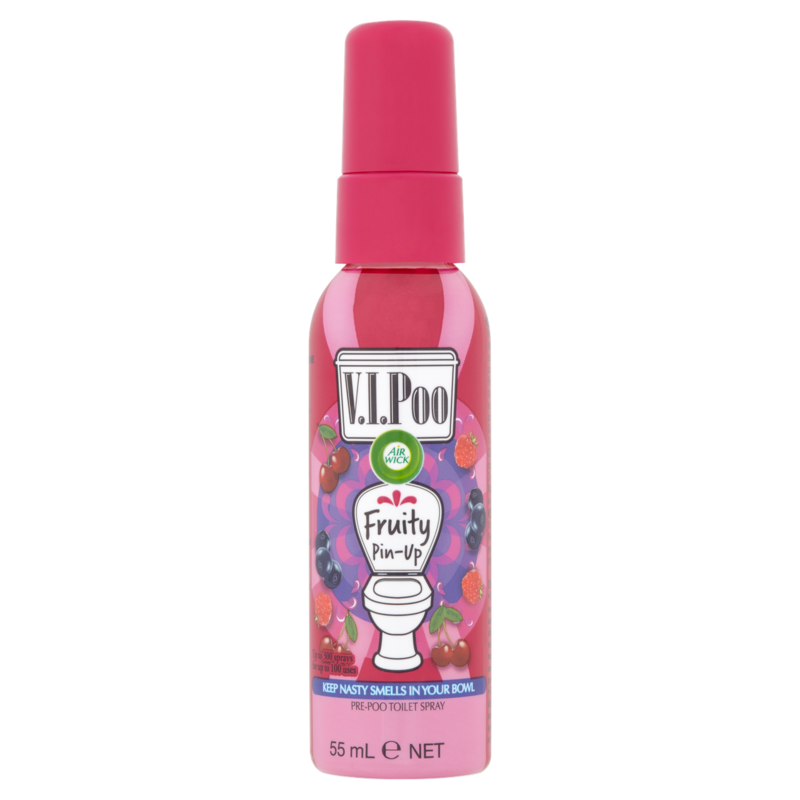 V.I.Poo Fruity Pin-Up, a fruity sweet and vibrant aroma. 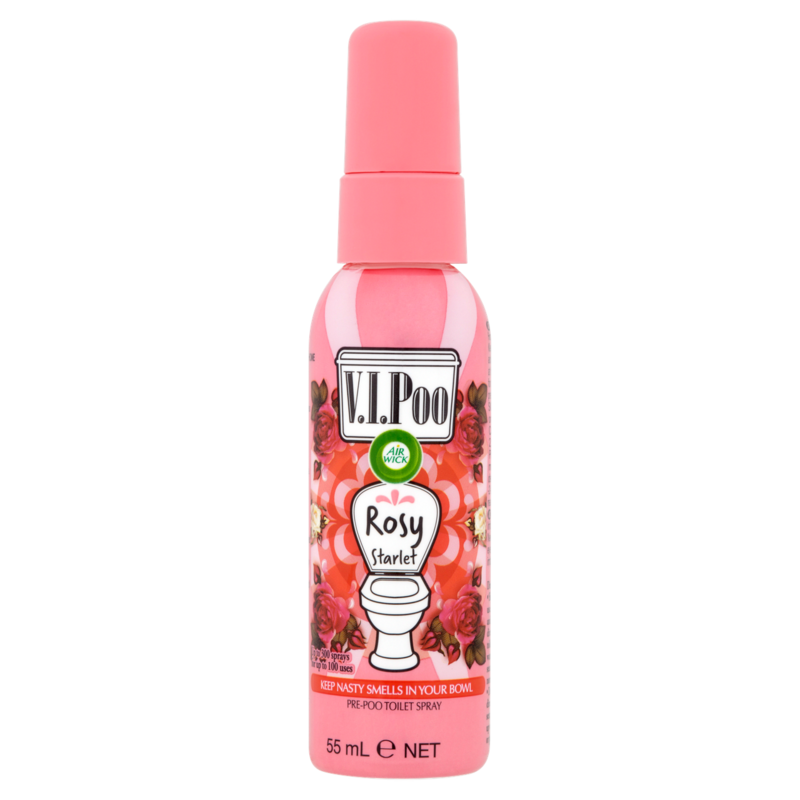 The V.I.Poo sprays form an aromatic layer on the surface of the toilet water to help trap those unwanted odours. Enriched with a blend of essential oils, it releases its delicate scent for a pleasant smelling and embarrassment free number two experience, wherever that might be. The 55 ml spray bottles contain up to 300 sprays, for up to 100 uses, whilst being discreet and bag friendly to take with you. Each bottle has up to 100 uses, 300 Sprays. Keep nasty smells in the bowl. Using the V.I.Poo couldn't be easier. Taking the lid off the spray bottle and shaking the bottle really well before use will ensure an even spray. Lift the toilet seat and spray 3-5 times directly into the toilet bowl, onto the water. Lower the toilet seat down and your be protected from any nasty smells, easy! So if your looking for a multi-purpose funny secret Santa gift for work colleagues, family, or friends, check out the Santa Gift range to bring a smile to someones face and a pleasant sense of smell for others. X Neil.